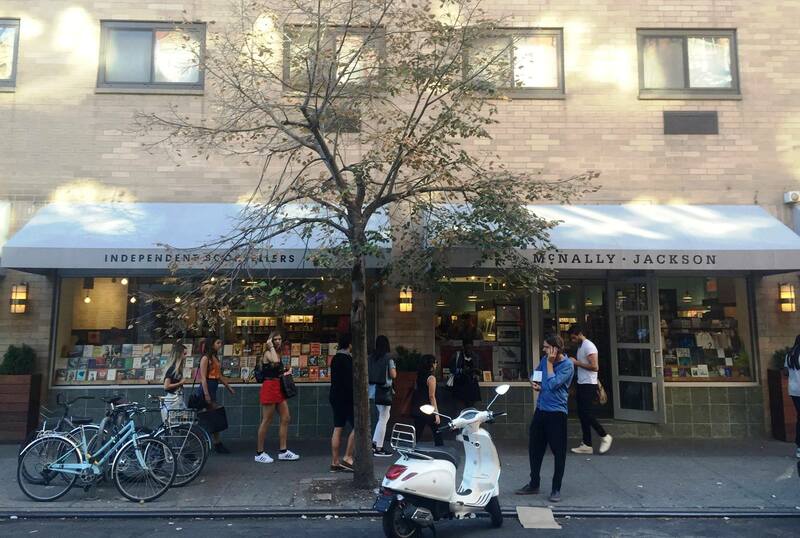 McNally Jackson is not only definitely staying put in its flagship SoHo store but has plans to open two more stores elsewhere in New York City "as soon as this fall": the long-postponed South Street Seaport location and in City Point in downtown Brooklyn, Vulture reported. In October, owner Sarah McNally confirmed reports that she was leaving the flagship site on Prince Street because of a rent increase to $850,000 from $350,000 and said she was close to signing on a new nearby location. A month ago, store employees said the store was staying put. Now, Vulture said, McNally has agreed to a new lease for $650,000 "with gradual increases over the next five years." The landlords at the two future bookstores, who sought out McNally Jackson, are offering "affordable rents," McNally added. A year ago, McNally Jackson opened its first bookstore outside Manhattan, in Williamsburg, Brooklyn; and last August, Hudson and McNally Jackson announced that they would open a store at LaGuardia Airport in the new Terminal B, which is under construction. The South Street Seaport branch was news in 2015 but has been quiet ever since. The downtown Brooklyn location is only just being announced. The 7,000-square-foot South Street Seaport location will occupy two stories in several buildings and have a view of the water. The City Point store will be about 5,300 square feet and will also occupy two stories. McNally expressed surprise to Vulture about the prospect of owning four bookstores, saying, "If you had told me when I opened my first store, when I was 29, that I would eventually open four, I would have said no way. I felt like I needed to have a connection with every shelf and every book. But after 15 years, at Prince Street, I don't need to have that connection--because someone there does. There are so many extraordinary booksellers that I'm not afraid anymore. I can just pass the new stores over--it's like a trust fall or something."